Looking to add a naughty twist to your next event? Girls you need Randy Rod, Boys give Raunchy Rebecca a go. Rebecca and Rod are mechanical rides with 3 speeds. Rod – with his unique love handle, he is a smooth operator allowing you to show off your skills and hopefully be crowned “Rods Ride Of The Night”. Rebecca – she is designed to go the distance like no other. She will rock and roll and hopefully won’t kick you out of her 4 poster bed. Can you go the distance? Let Raunchy Rebecca or Randy Rod transform your next adult night to the next level. Beware, these rides are not for the fainted hearted! Hey Fellas! Looking to add a naughty twist for your next event? Our mechanical Rebecca is the girl for you. She is designed to go the distance, ride after ride, giving you and your guests hours of fun and laughs. This attraction is not for the faint hearted, Rebecca is a mechanical ride with 3 programmed speeds, she will rock and roll and hopefully she won’t kick you out of her 4 poster bed. For a fun night of a different kind speak to Air-Born Amusements about Mr Randy Rod. He's a ladies man, aiming to pleasure you for hours, ride after ride. Perfect for any girls night out as this attraction will keep your guests entertained and wanting more. Randy Rod will add a naughty twist to the night and with his 3 programmed speeds he can handle even the most experienced riders. With his unique love handle, he is a smooth operator, allowing you to show off your skills and hopefully be crowned ‘Rods Ride Of The Night’. So come on ladies lets not let the boys have all the fun, let your hair down and have the ride of your life. Our adult bouncy castle hire in Perth, starring Randy Rod guarantees hours of fun and laughs. 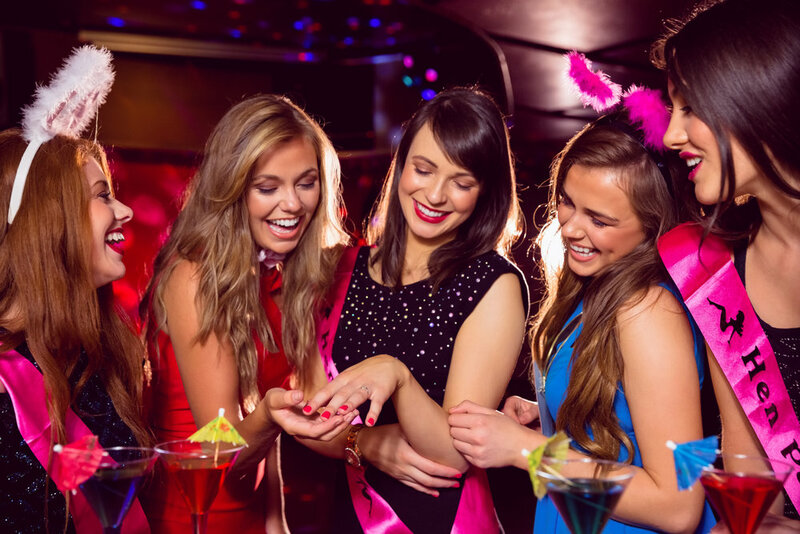 Organise a Hens night with a twist.